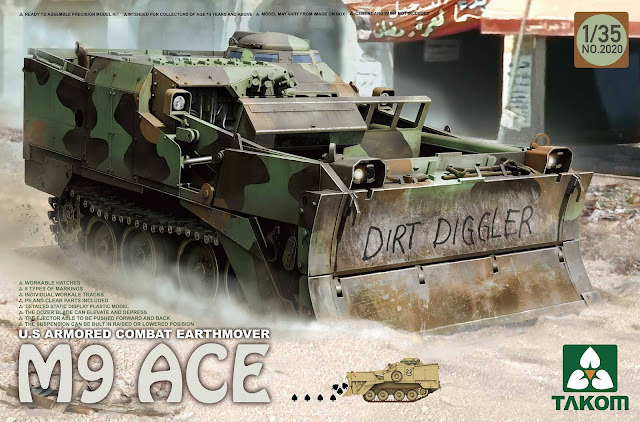 The Modelling News: Takom get Diirrrdy with their new M9 Armored Combat Earthmover..
Takom get Diirrrdy with their new M9 Armored Combat Earthmover.. 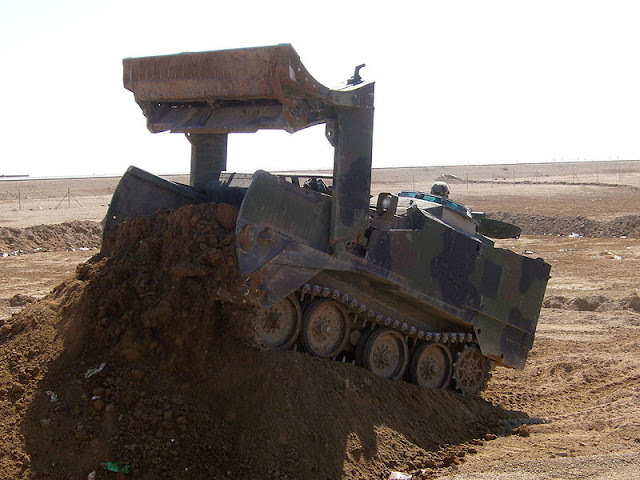 Combat Engineer Tasks. 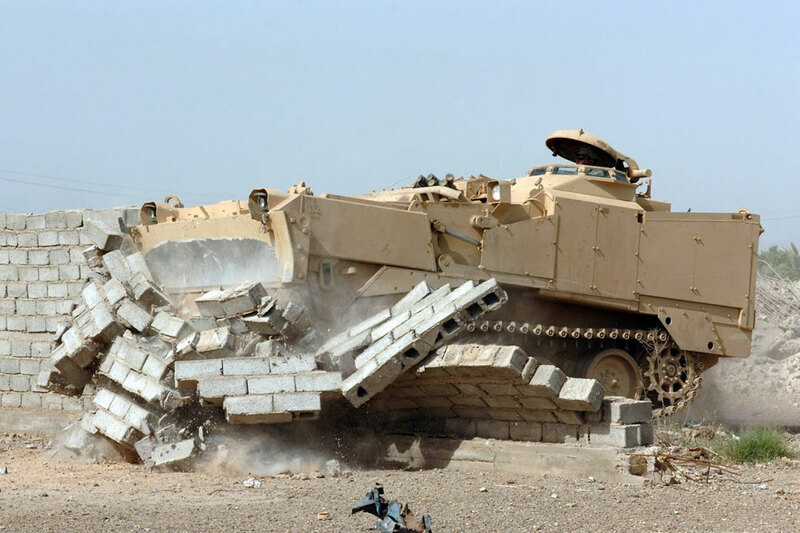 The M-9 Armoured Combat Earthmover is a highly mobile, full-tracked, air transportable armoured earthmover and represents a significant enhancement to the combat engineers' capability to support the MAGTF. The M-9 ACE can be employed in a host of engineer tasks, such as clearing obstacles, preparing defilade and survivability positions, and a myriad of engineering construction tasks including dozing, scraping, grading, hauling, towing, and winching. 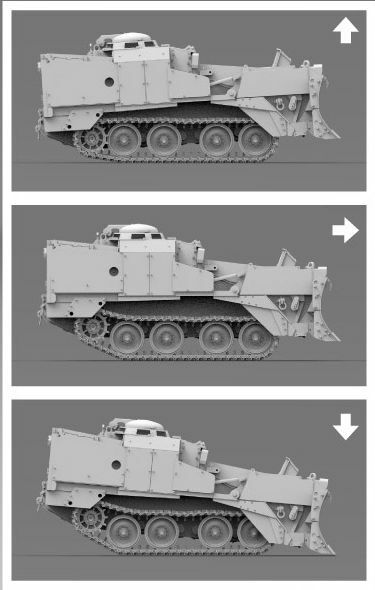 The M9 ACE is a highly mobile, fully tracked armoured earthmover capable of supporting forces in both offensive and defensive operations. It performs critical combat engineer tasks such as digging hull defilade fighting positions for guns, tanks and other battlefield systems to increase their survivability. 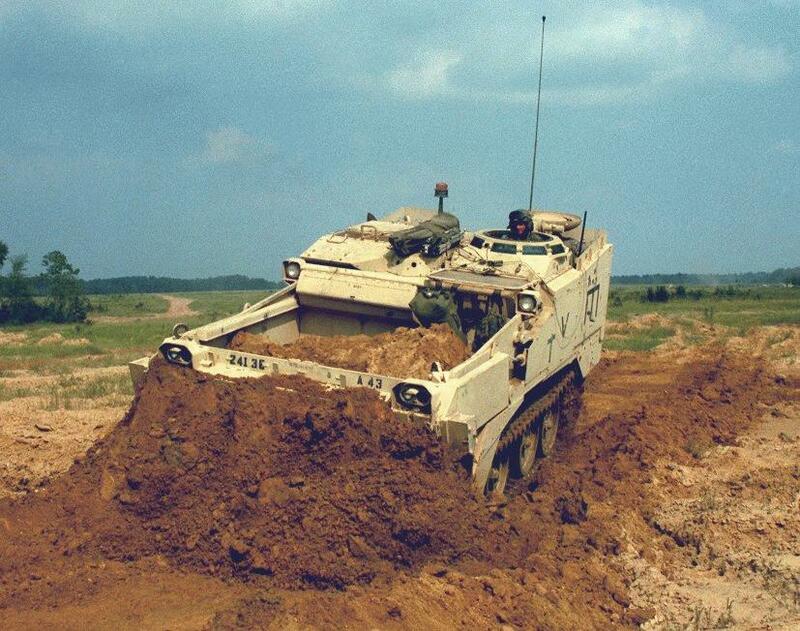 The ACE breaches berms, prepares anti-tank ditches, prepares combat roads, removes roadblocks and prepares access routes at water obstacles. With the combination of its cross-country mobility and armoured protection, the M-9 ACE is capable of both offensive and defensive operations in the forwarded battle area. Additionally, with a cruising range of 200 miles, air transportability, and the ability to swim, the M-9 ACE can maintain the momentum of the manoeuvring forces. The basic structure of the M9 is welded aluminium. 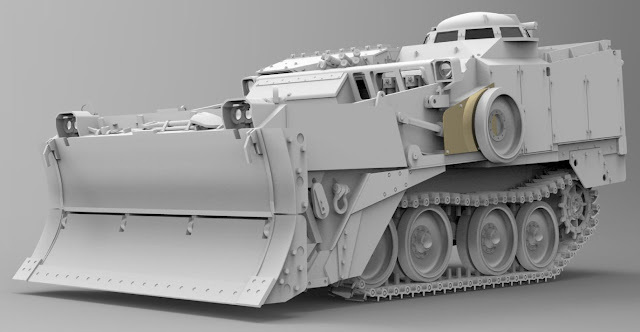 The engine, drive train and operator's compartment are laid out in the rear of the vehicle, while the front features an 8.7 cubic yard bowl, apron and dozer blade. 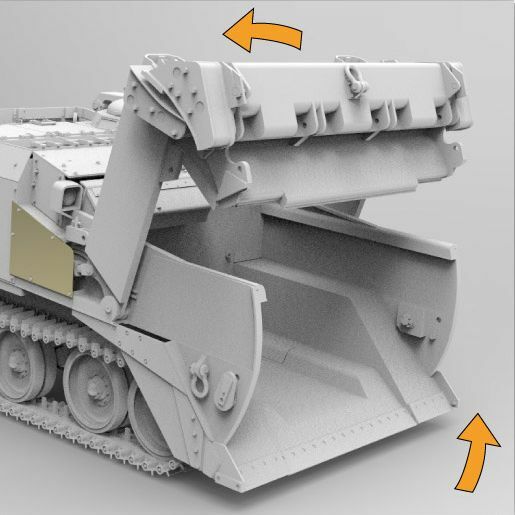 Armor consists of welded aluminium with selected steel and aramid-laminated plates. 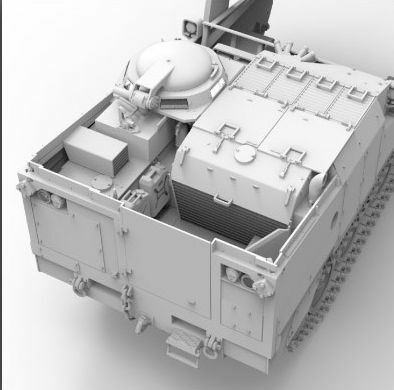 An armoured cupola containing eight vision blocks covers the driver's compartment. 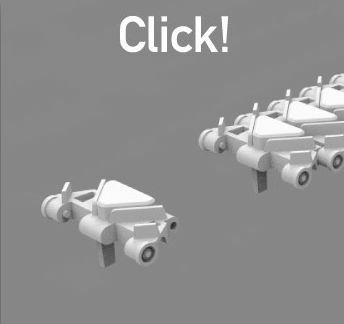 Lucky for us the tracks simply click into each other so no problems with multi part assembly there! You can see by this picture the real thing at work with its apron lifted this ACE uses its ejector to push earth out of its bowl in order to build up a heap. 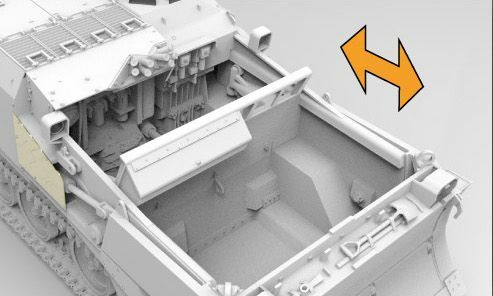 The rear engine enclosure and the turret hatch are seen in great detail here – not sure if there is a full or part engine or not but we are sure that the turret hatches open and close. Take that fool! Think of the diorama possibilities. Well more on this cool looking kit when we know more we promise!